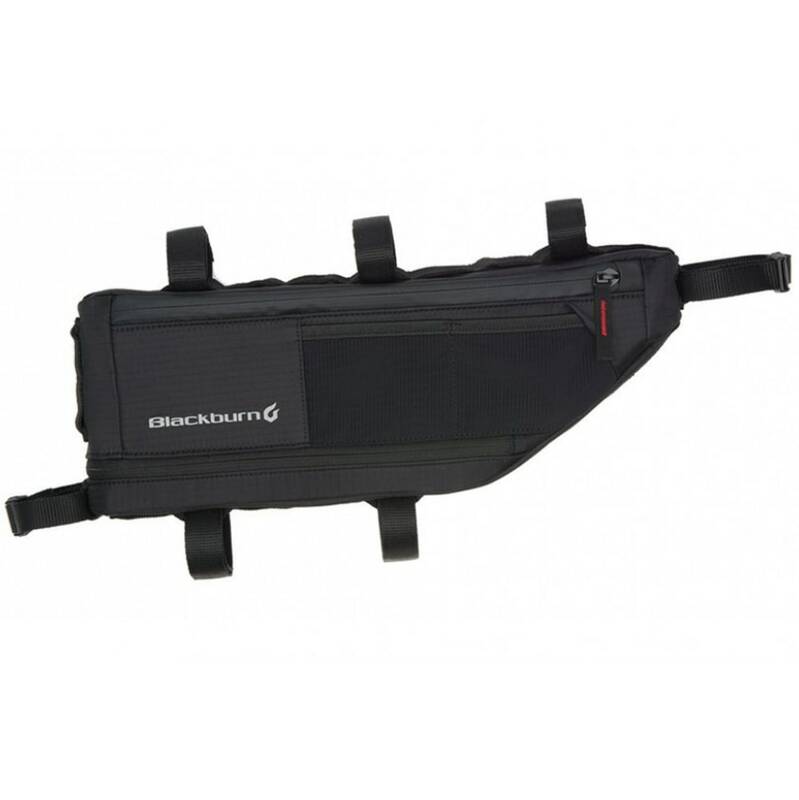 Utilize the extra space on your bike frame with the Outpost Frame Bag from Blackburn. 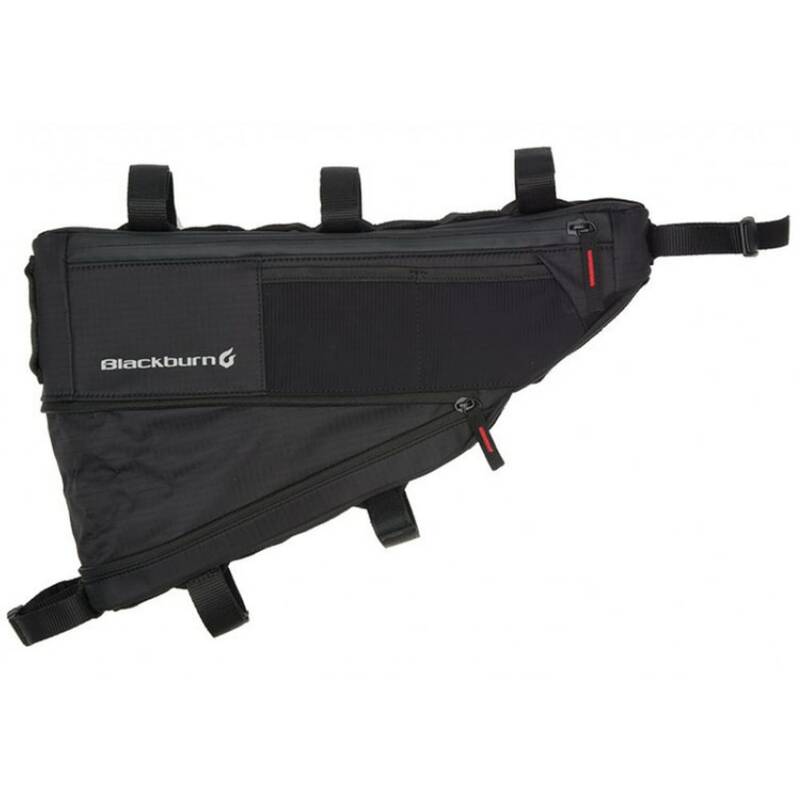 This waterproof bag includes external mesh and slip pockets, as well as a main compartment with zipper for a secure place to store your belongings. The expandable bottom allows for additional room, while the straps attach to the bike frame to keep cargo weight centralized. Expandable height ranges from 7 in. – 11 in.